Moritz Pollitzer, originally from Prussia, brought his family to Beaufort during the Union occupation at the start of the Civil War. He established himself as a cotton merchant and agent for a cotton gin manufacturer. Though he did not become a planter himself, he accumulated extensive land holdings and personal property, valued at $15,700 in 1870. Technically a carpetbagger, that is, a northerner who came South to profit from the upheavals of war and reconstruction, Pollitzer nevertheless gained respect and authority in his adopted hometown. 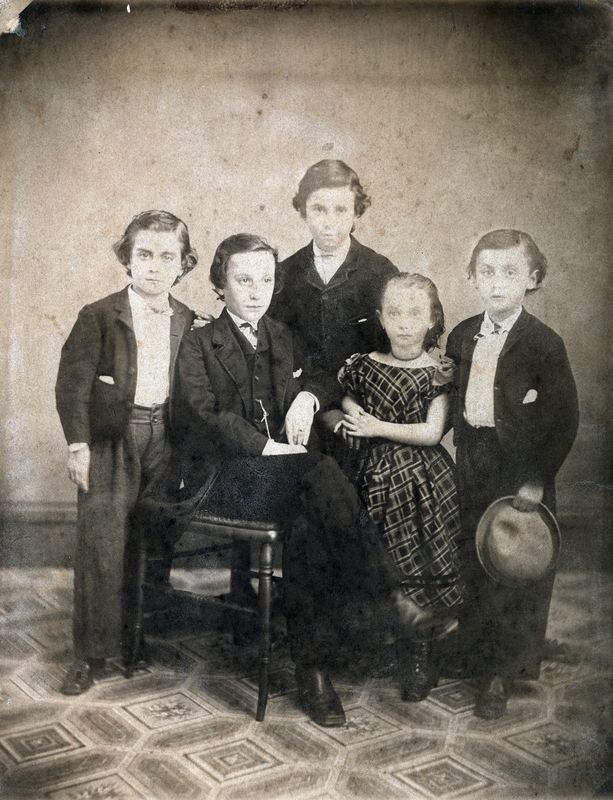 At the time this photograph was made, Gustave was 13 years old, Henry 11, Sigismund 9, Richard 7, and Julia 5.